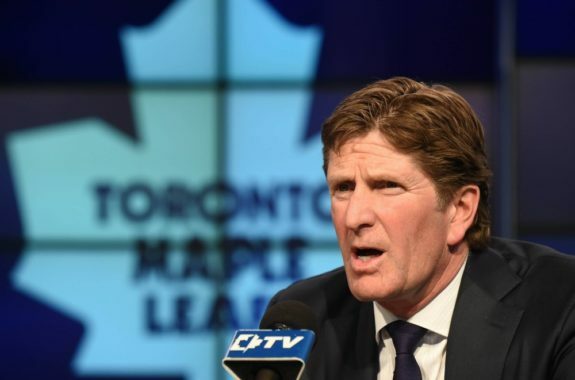 As the 2019 NHL Playoffs draw near, head coach Mike Babcock and the Toronto Maple Leafs appear set to face the Boston Bruins in the first round for the second season in a row. Last season’s first-round matchup between the two was momentous and led to yet another dramatic Game 7 encounter. Old demons resurfaced and the Bruins were able to crush the Leafs in the third period to win the game 7-4. Since the announcement of the Leafs rebuild in 2015, this series against the Bruins has stood as the team’s only setback. Now, as the two teams prepare to clash in the playoffs once again, the Leafs will show whether they are ready to take a big step forward or another step back. Where Is Mike Babcock Standing After Four Years? The Leafs hit the jackpot on May 20, 2015 when it was announced that Babcock would be coming on as coach of the Maple Leafs. At the press conference, Babcock assured the Leafs fanbase that “there’s pain coming.” However, aside from a last-place finish the following season (which was by design) there has not been a ton of pain. If the Maple Leafs get knocked out in the first round for the third year in a row, that will be painful. More importantly, it will be time for general manager Kyle Dubas to make some very difficult decisions. When the Maple Leafs began their season in 2016, few people expected them to make an impact. They were coming off a last-place finish and had a slew of rookies sprinkled throughout their lineup. To everyone’s surprise, the Maple Leafs made the playoffs before losing in the first round to the Washington Capitals. Despite the quick exit, the thought was that the Maple Leafs were now ahead of schedule. Making the playoffs in the first year post-rebuild was a big step forward. However, when the Maple Leafs failed to make it past the first round again the following season, expectations were not met. Now a year later, Babcock’s team does not appear to be terribly different from last season’s. Very rarely do teams get to have extended periods of success with the same core group of players. This especially holds true for the salary cap era. In recent years, the Chicago Blackhawks and the Los Angeles Kings have been two teams who have been capable of achieving great success with their extremely talented core. However, as their fans are seeing now, that does not last forever. Once those core players all start hitting their primes simultaneously, it becomes very difficult to keep them and build around them. This is the problem the Maple Leafs are facing with their young talent. 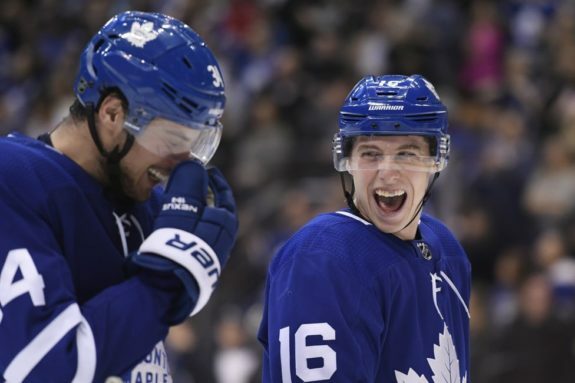 As stated by Sportsnet’s Chris Johnston, the Maple Leafs must be aware of the impending cap crunch as Auston Matthews and Mitch Marner are set to enter the first year of their respective contract extensions. Wasting time is a troublesome thing in the NHL. In the case of the Maple Leafs, there is only so much time that they will be able to build a team around Matthews, Marner and John Tavares from a salary cap standpoint. That window is closing more and more by the year, and a third consecutive first-round exit would be a very difficult pill to swallow for this team. 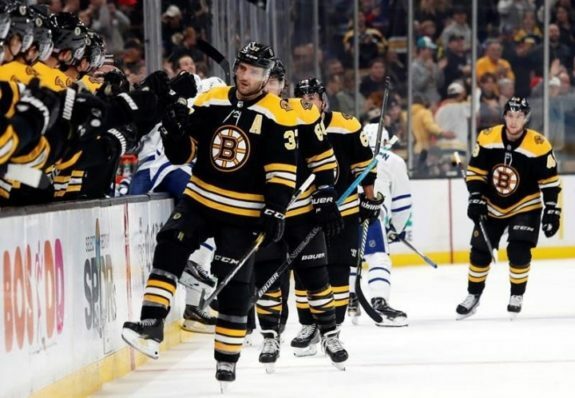 As the Leafs have struggled mightily in their recent games against the Blackhawks and Tampa Bay Lightning while the Bruins have been on a tear since January, the impending first-round matchup would appear to favour the Bruins. A series loss to Boston could very well be the tipping point for change in the Maple Leafs organization. The Toronto Raptors faced a similar situation last season. Despite having their best regular season in franchise history and finishing second overall in the NBA, the team fired head coach Dwane Casey after being swept in the second round. Keep in mind that the Raptors had gotten better every season since Casey arrived with the team, but at the end of the day sports are about winning when it matters most. It was a case of the team having reached their ceiling and making a difficult decision as a result. The Leafs may find themselves in the same position if they fail to step up against Boston. Should the decision be necessary, this would be the biggest decision thus far in Dubas’ young career. The decision to make changes to the Maple Leafs coaching staff would be the first example of adjustments being made to the long-term plans in Toronto. As next season will be the first with all of the Leafs’ young players making their big money contracts, the team can ill afford to take the chance on wasting yet another season without playoff success. Though it seems unthinkable, if Babcock and his staff are unable to coach the Maple Leafs through the playoffs, then it may be time to consider other options. Granted, this argument rests on the Leafs losing their first-round series to the Bruins. While that might be the more likely scenario at the moment, it is by no means a certainty. The Leafs could end up beating Boston, reaching the second round for the first time since 2004, however it is worth weighing both scenarios and preparing for both equally.